Infinidat is an Enterprise class storage array that changed the landscape when it entered the market in 2011. Infinidat’s founder and CEO, Moshe Yanai, brought with him a long history of bringing market-changing technology to the tech world. His first contribution to the data storage landscape was the EMC Symmetrix, which introduced the first commercially available RAID array. We all know how that went. And, Moshe brought that success into his next venture… XIV, which became another game-changing technology, mostly because customers loved how easy the array was to configure and manage, as well as the rock-solid reliability. IBM purchased XIV in 2008, which is also the year that I joined Mainline. I made it my mission to bring XIV into our storage portfolio. We were the first IBM Partner to sell XIV, and we quickly became the largest XIV reseller. It was a phenomenal success for both our sellers and our customers. This was announced today and is a truly exciting piece of news. Infinidat was almost immediately placed in Gartner’s Visionary quadrant. For those not familiar with the Gartner Magic Quadrant, it is a method of comparing technologies with a certain mission (and, Infinidat appears in the General Purpose Array category) in four categories: Niche Player, Challenger, Visionaries and Leaders. The entrants are measured in two areas: Completeness of Vision and Ability to Execute. The combination of how an entrant performs in those two areas determines which quadrant the entrant is placed in and shares the quadrant along an x/y axis that places them in order of how well they performed. Infinidat occupied the Visionaries quadrant early, partly due to the street cred that Moshe brought to the company, but mostly because of the uniqueness of its design. They occupied a space far to the right for Completeness of Vision (which differentiates the Niche Players from the Visionaries, but lower in the Ability to Execute metric than what is required to be in the Leaders quadrant. And, that is today’s news. Infinidat has become the fastest storage company to occupy the Gartner Leaders quadrant. So, what prompted this change of position, which moved Infinidat up the Ability to Execute metric? In my estimation, it boils down to customer satisfaction. Gartner shows a “willingness to recommend” rating of 99%! One of my missions at Mainline is to brief our customers about storage technology; to compare the many choices they have; and to show them the strengths and focus areas of the major players. Frequently, when discussing Infinidat, customers had either said they weren’t familiar with the company (although most were familiar with Moshe), or they were not looking at Infinidat because they felt it wasn’t tested enough. As time went on, I heard fewer of those kinds of comments. In the Gartner report, it cites, along with high customer satisfaction, their growth, robust R&D spending and their willingness to compete hard on price. Gartner also tries to balance any good news with some cautionary notes. They were: Can Infinidat keep up with the rapid growth in their support infrastructure? Well, Moshe has never failed there. The other caution was about their lagging in host connect speeds, especially given the progress towards NVMeoF connectivity. I doubt Infinidat will let that be a negative for long. So, now, Infinidat has thousands of customers and gigatons of capacity sold to the market. The second most frequent comment – customer concern about the pervasiveness of the technology – would be reinforced or disproven once enough arrays were sold. I believe this is the biggest factor – that Infinidat is highly regarded with its customers. Once again Moshe Yanai has delivered a product precisely where his reputation sets expectations. 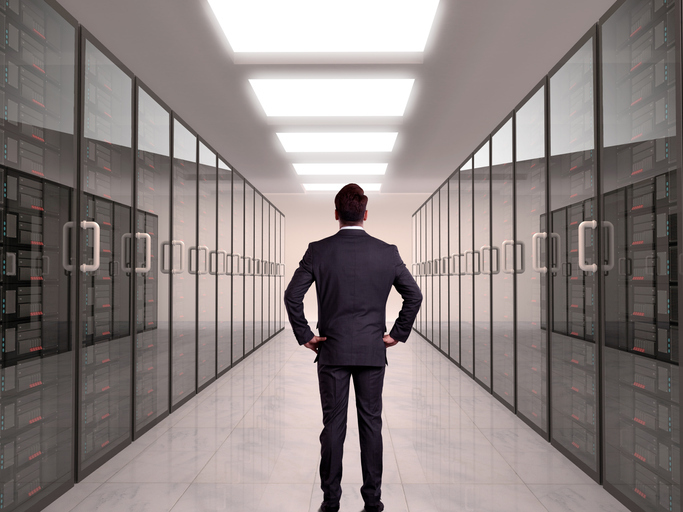 Mainline has aided many customers in comparing and sourcing storage from all of the major technology providers and has been a trusted expert in this technology for many years. Contact your Mainline Account Executive, or contact Mainline directly for more information.